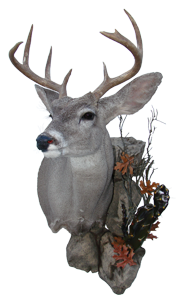 Tuition – Full Eight (8) Week Professional Taxidermy Training Course: Tuition for the Full Eight (8) Week Professional Taxidermy Training Course is $6,150.00 per student. Included in your tuition price is a personal toolbox stocked with a huge assortment of taxidermy tools, including an airbrush! Included as well is the use of all paints, hardware, epoxies, lumber, and power tools needed to complete your mounts. Tuition for this full course does not include housing, taxidermy specimens, or forms. Use the “2019 Specimen Price List” to choose your own specimens that you wish to mount, as well as to calculate your approximate costs for such (costs for specimens/capes are subject to change – we have no control over the market for such, so costs could go higher than listed amounts). Your $600.00 Enrollment Fee will be applied towards your total tuition costs. 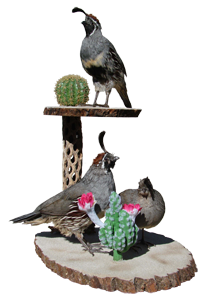 Tuition – Six (6) Week Professional Mammal & Bird or Fish Taxidermy Training Course: Tuition for the Six (6) Week Professional Mammal (Game Head, Life-Size, and your choice of either) Bird or Fish Taxidermy Training Course is $5,450.00 per student. Included in your tuition price is a personal toolbox stocked with a huge assortment of taxidermy tools, including an airbrush! Included as well is the use of all paints, hardware, epoxies, lumber, and power tools and equipment needed to complete your mounts. Tuition for this course does not include housing, taxidermy specimens, or forms. Use the “2019 Specimen Price List” to choose your own specimens that you wish to mount, as well as to calculate your costs for such (costs for specimens/capes are subject to change – we have no control over the market for such, so costs could go higher than listed amounts). 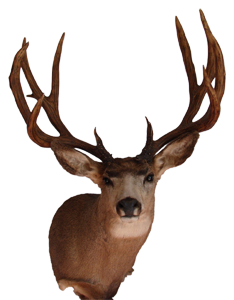 Tuition – Four (4) Week Professional Mammal Taxidermy Training Course: Tuition for the Four (4) Week Professional Game Head and Life-Size Mammal Taxidermy Training Course is $4,395.00 per student. Included in your tuition price is a personal toolbox stocked with a huge assortment of taxidermy tools, including an airbrush! Included as well is the use of all paints, hardware, epoxies, lumber, and power tools and equipment needed to complete your mounts. Tuition for this course does not include housing, taxidermy specimens, or forms. Use the “2019 Specimen Price List” to choose your own specimens that you wish to mount, as well as to calculate your costs for such (costs for specimens/capes are subject to change – we have no control over the market for such, so costs could go higher than listed amounts). 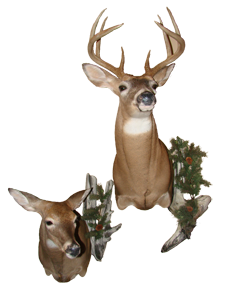 Tuition – Two (2) Week Professional Mammal Taxidermy Training Course (Game Head or Life-Size): Tuition for the Two (2) Week Professional Mammal (either Game Head or Life-Size) Taxidermy Training Course is $2,895.00 per student. Included in your tuition price is a personal toolbox stocked with a huge assortment of taxidermy tools, including an airbrush! Included as well is the use of all paints, hardware, epoxies, lumber, and power tools and equipment needed to complete your mounts. Tuition for this course does not include housing, taxidermy specimens, or forms. Use the “2019 Specimen Price List” to choose your own specimens that you wish to mount, as well as to calculate your costs for such (costs for specimens/capes are subject to change – we have no control over the market for such, so costs could go higher than listed amounts). 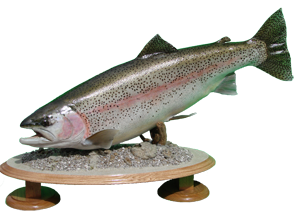 Tuition – Two (2) Week Professional Bird or Fish Taxidermy Training Course: Tuition for the Two (2) Week Professional Bird or Fish Taxidermy Training Course is $2,395.00 per student. Included in your tuition price is a personal toolbox stocked with a huge assortment of taxidermy tools, including an airbrush! Included as well is the use of all paints, hardware, epoxies, lumber, and power tools and equipment needed to complete your mounts. Tuition for this course does not include housing, taxidermy specimens, or forms. Use the “2019 Specimen Price List” to choose your own specimens that you wish to mount, as well as to calculate your costs for such (costs for specimens/capes are subject to change – we have no control over the market for such, so costs could go higher than listed amounts).